FC Barcelona has given star Brazilian winger Neymar Jr the permission to sort out his future. Neymar is angling for a move to PSG for a world record fee of 198m pounds, has told his teammates that he wants to leave Barcelona. 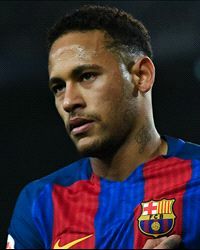 Here's confirmation from Barcelona, who have just tweeted that Neymar didn't train today with permission of coach Ernesto Valverde.